Our dedicated team, who work to ISO 9001 certification standards, are here to make your project a success from the outset. 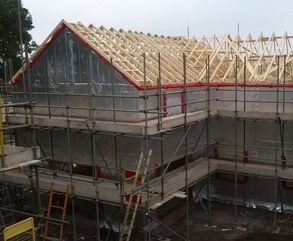 Timber Frames are extremely quick to erect and can be up within a matter of days. 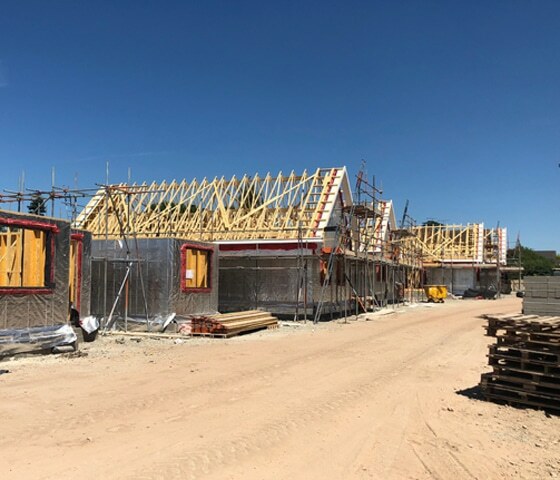 This means that weather is less likely to impact the Timber, once the inside of the frame is protected from the weather other contractors such as electricians can start working. Our Timber is sustainably sourced and when a tree is cut down another tree is always re-planted in its place. We are PEFC approved so we can say for sure the Timber we source is sustainable. A timber frame is much more air tight than brick meaning your U values will be a lot better. 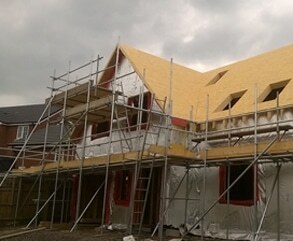 Timber frames can be crafted into almost any shape and are perfect for an open plan style home. In comparison, brick and mortar homes are relatively limited if you want something unconventional. We are so glad that we chose Timber Kit Solutions as our preferred supplier for the 4 bed house that is due to reach completion shortly. All the staff were extremely helpful and knowledgeable. Being self-builders nothing was too much trouble, however small. Any issues that arose were resolved quickly and efficiently. A fantastic start to finish project by true professionals. 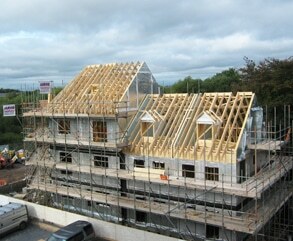 We would recommend anyone to choose TKS if planning a timber frame building. 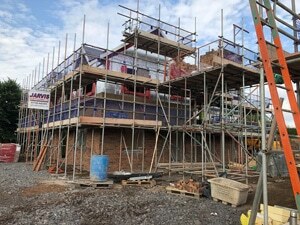 Steve & Diane, 4 Bed Bespoke House in Coedway. 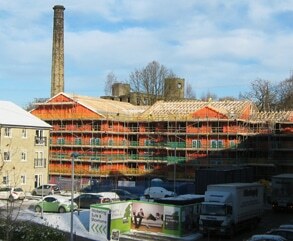 Please view further customer testimonials and photographs from some of the many projects that we have been involved in.